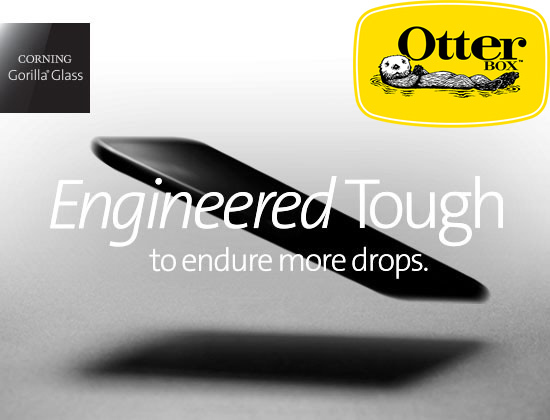 OtterBox today announced that it's teaming up with Corning for a new line of Amplify screen protectors for smartphones. For those unfamiliar with Corning, Corning is the company that creates the super strong Gorilla Glass that's used in Apple's iOS devices and other electronics. OtterBox and Corning plan to create a "full portfolio" of "innovative glass solutions" to provide additional protection to smartphones and tablets while also improving the user experience. The Amplify screen protectors will use proprietary engineering and manufacturing techniques for longer-lasting protection and durability. "We understand that your phone screen is the window into your world and a gateway to your most important memories," said OtterBox CEO Jim Parke. "Corning is the leading glass innovation company in the world, and we look forward to this partnership improving smartphone screen protection for our customers." According to OtterBox, the Amplify line of screen protectors will be launching soon for the iPhone and Samsung Galaxy smartphones. Always wondered...if the iPhones are already made of gorilla glass, what good is an additional layer of gorilla glass going to do? It’s a sacrificial layer. My nephew smashed his (cheaper) glass screen protector when he dropped his phone, and the iPhone was fine underneath. I doubt the iPhone would have been OK without it.